Our Pretty Puppy, Jessie - Almost A Year Old! Our first family dog. She is super hyper and crazy but we wouldn't change her for the world. My girls just love her to bits. Comments for Our Pretty Puppy, Jessie - Almost A Year Old! 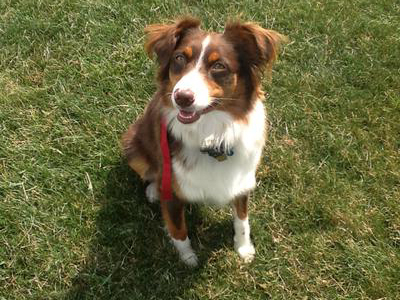 Aussie tend to be Border Collies with an "off" switch.